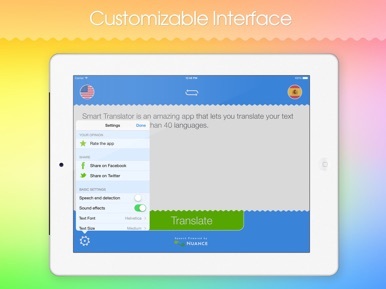 Smart Translator HD is an amazing app that lets you translate your text or speech into more than 40 languages. Smart Translator HD requires a Wi-Fi or 3G connection. 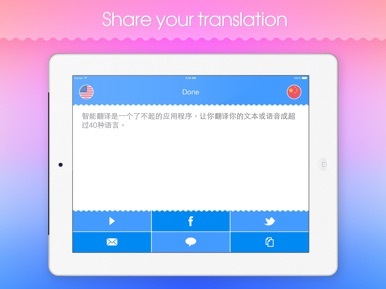 If yes, then Smart Translator HD is definitely for you. Grab your copy now. 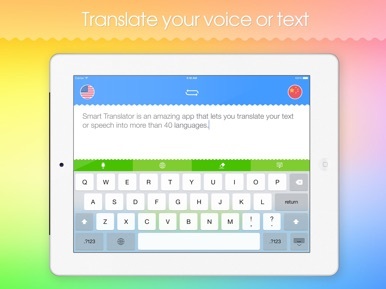 Present your work over AirPlay using iOS 5 to a second display for education practice or presentations. Prepare your graphics and use them later. Simple direct interface to calendar tasks.